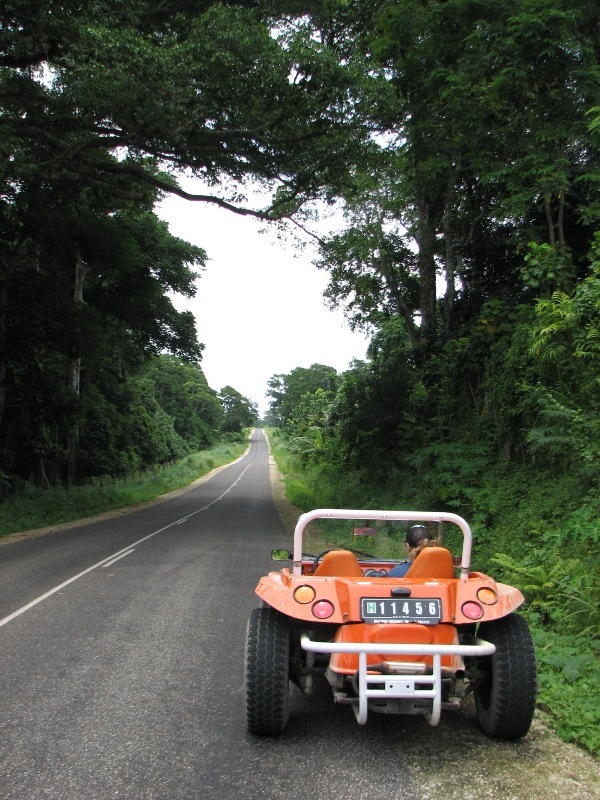 Now this is a hire car! 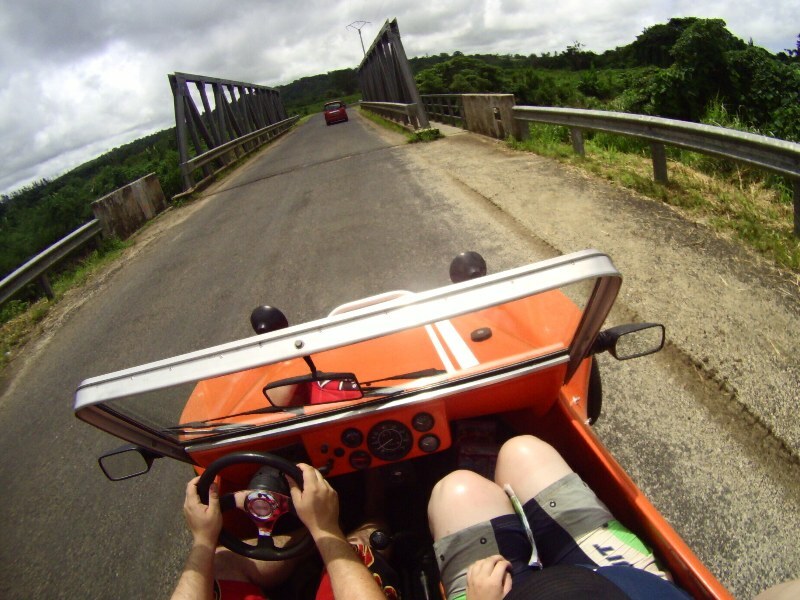 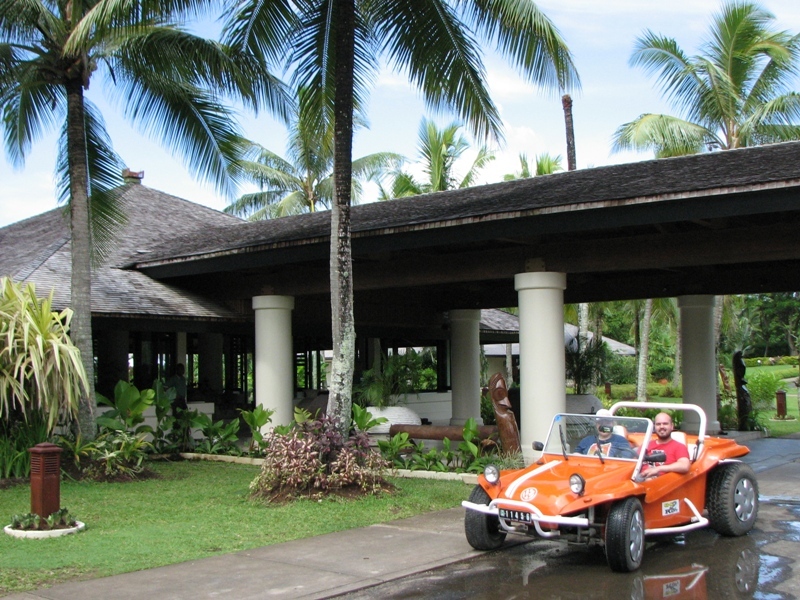 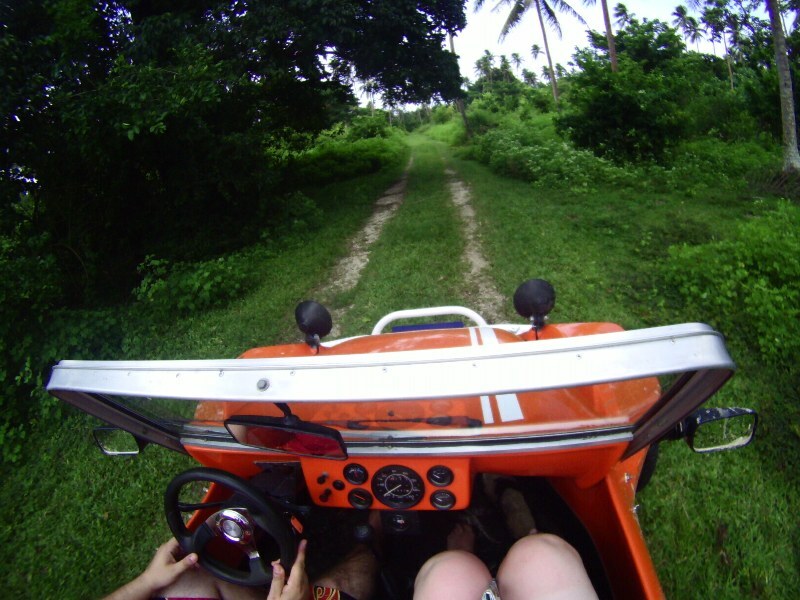 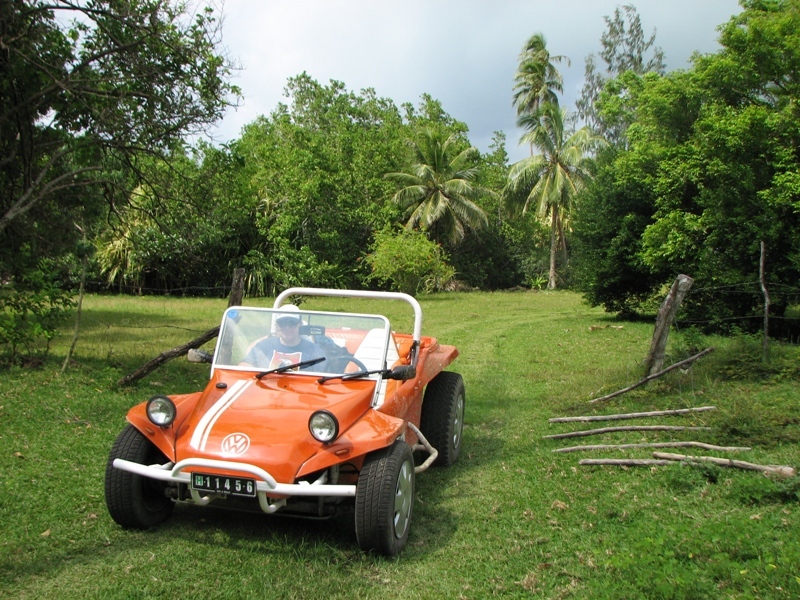 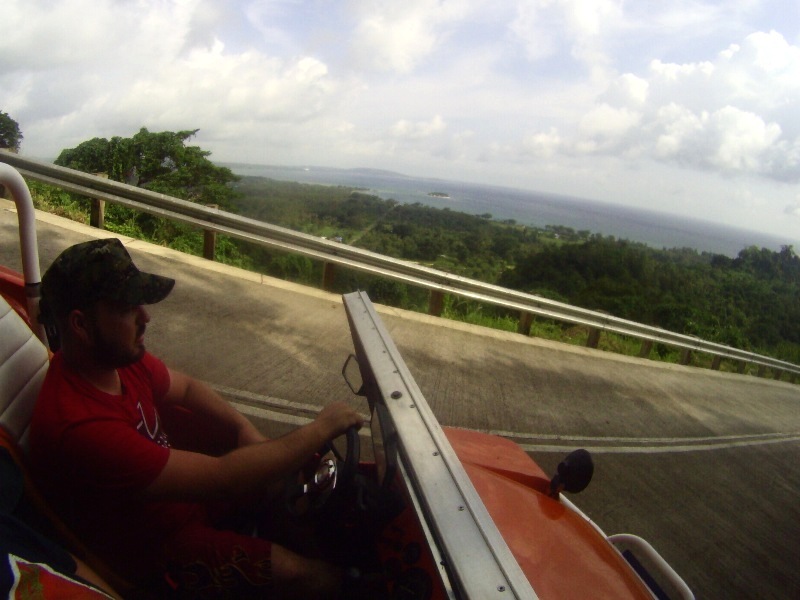 When it comes to rides which just scream good times, it’s hard to go past a dune buggy. 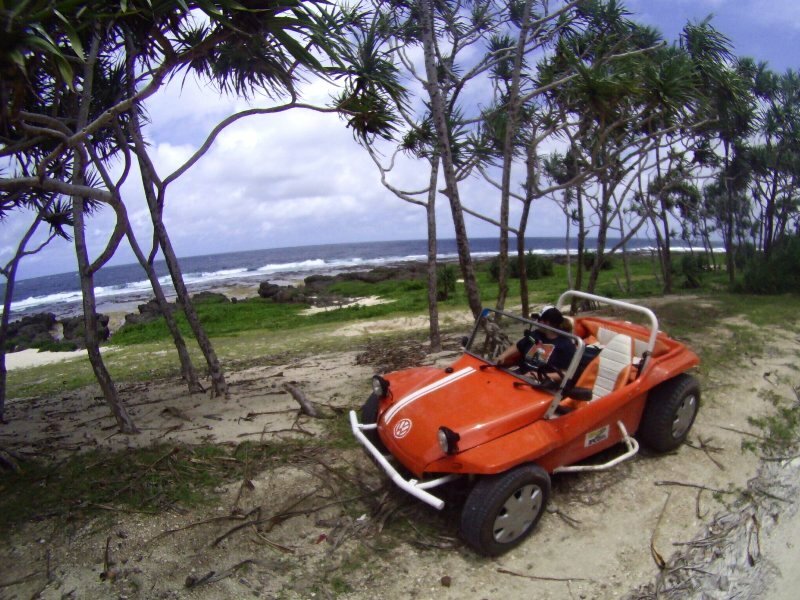 So when I was over in Vanuatu last week and passed a hire car company with a trio of buggies out the front, I just had to get one. 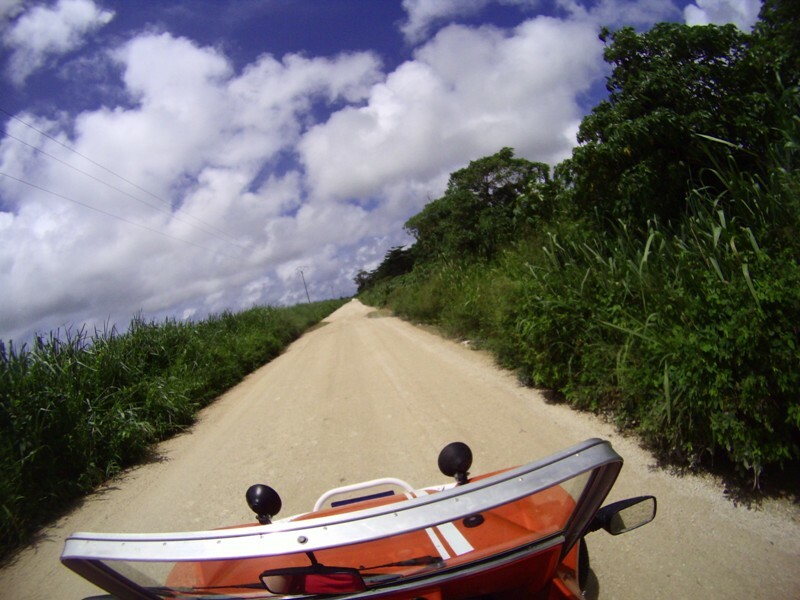 The roads in the capital of Port Villa are littered with potholes, maniacal bus and taxi drivers, not to mention the odd person or dog running out in front of you – scary stuff indeed! 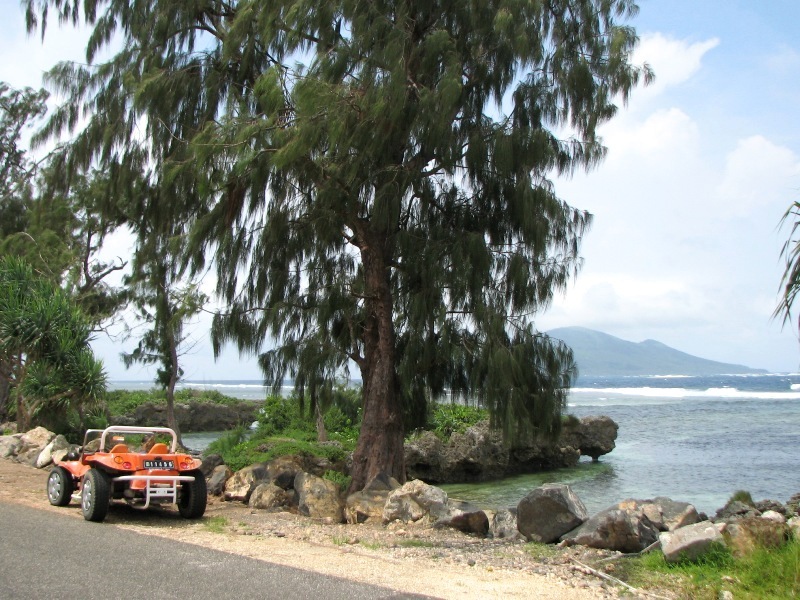 However once you hit the city limits its open highway for a loop which circumnavigates the island of Efate. 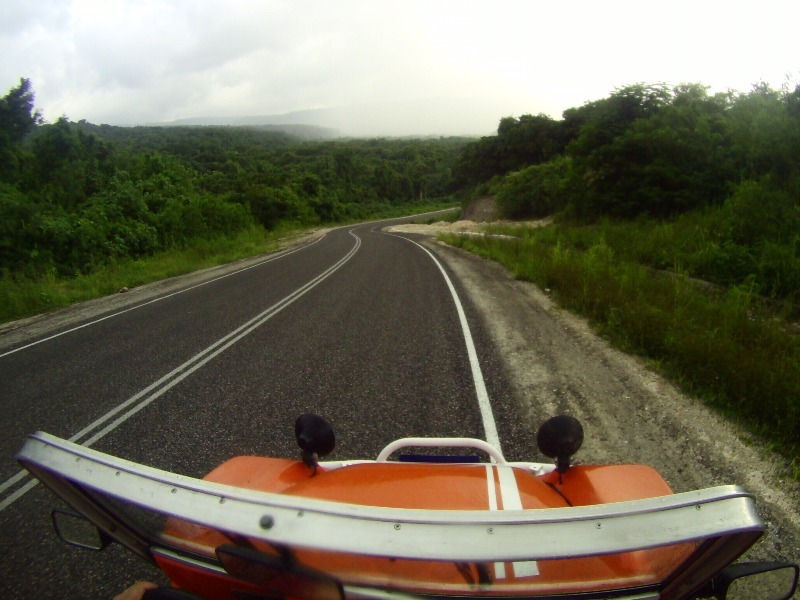 The highway was recently rebuilt, providing 135km of buttery smooth cruising through some spectacular scenery. 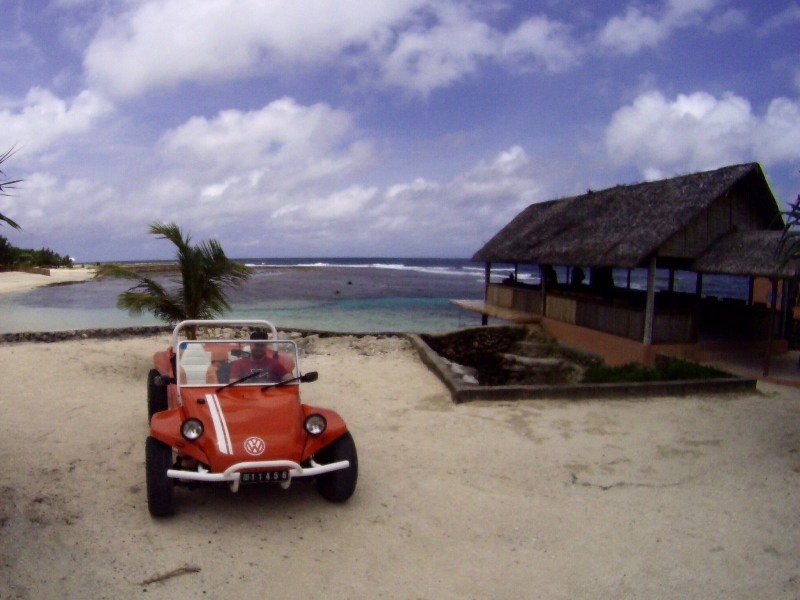 Throw in some side trips to places like a turtle hatchery, a submerged WWII fighter, pristine beaches, and friendly locals and you have a cracker of a day. 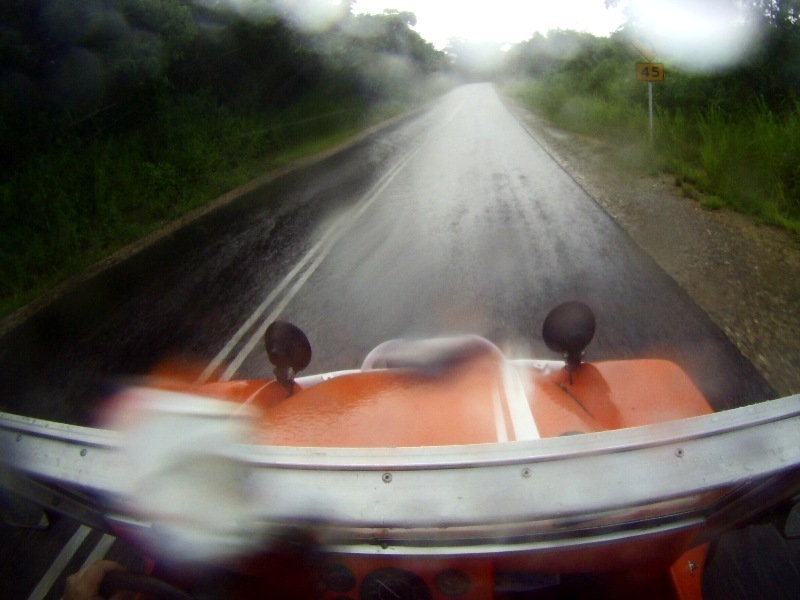 Just wear your swimmers, when you get caught in a tropical downpour you’ll dry out after! 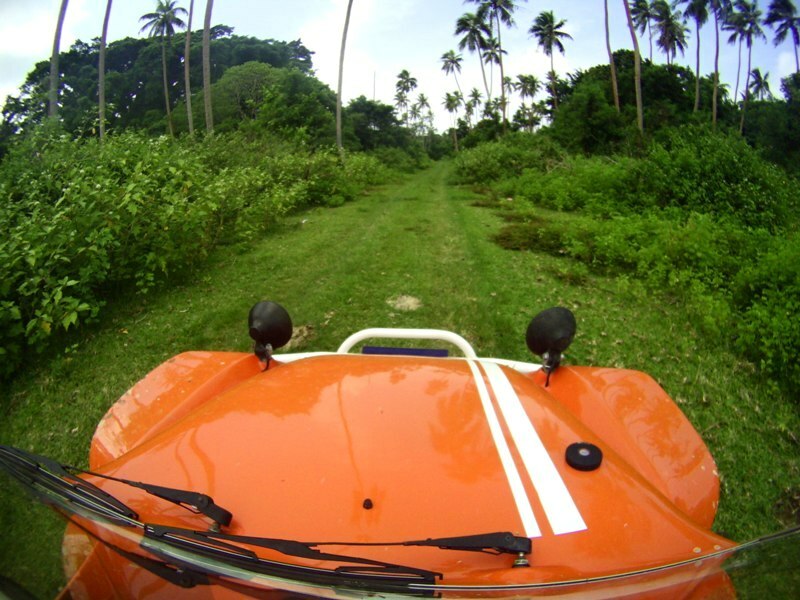 And yes, more Vanuatu pics and stories to come!